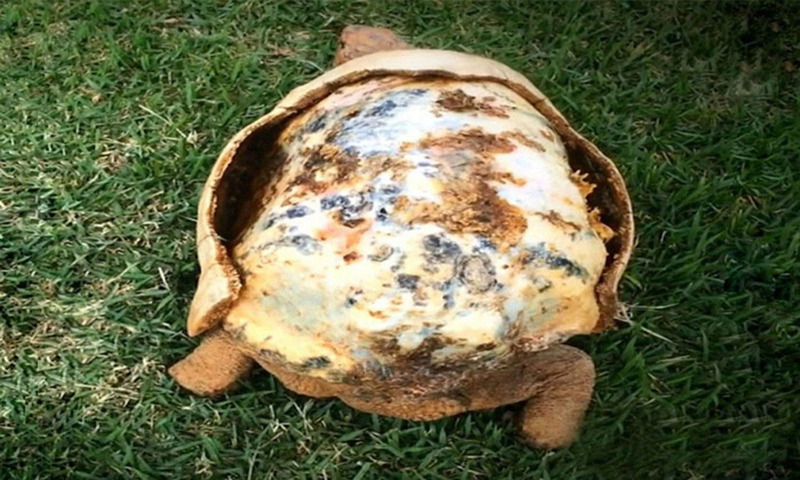 Freddy is a female tortoise who was caught in a Brazilian forest fire, where 85% of her shells terrible got damaged. For about 40 days she survived without food and later she was rescued by her caretakers who named her Freddy. They have named her Freddy because her wounded back reminded them of Freddy Krueger. With the help of science Freddy got her new shell using 3D printer. Designer Cicero Moraes created a plastic replica of what Freddy’s shell would have looked like. It’s made in four pieces that snap together and based on a similar tortoise’s shape. She fits into the new shell but exactly doesn’t blend in the screenshot. Freddy went through a lot but leaving everything in vanity, Freddy looks good in her new shell. Freddy’s shell is the first 3D printed functional replica of a tortoise shell ever. The group that made it calls themselves the Animal Avengers, and they’ve also saved many birds by designing and printing various beaks for injured or malformed patients.